I love natural skincare, but it can be pricey sometimes. When I was a teenager, I couldn't afford more expensive brands, which made me buy cheap products aimed at teenage skin. It turns out that all the antibacterial washes and scrubs were full of SLS and other nasties, making my skin dry and causing more breakouts. If you are a teenage beauty enthusiast or simply like natural budget skincare, Amie is the brand for you! 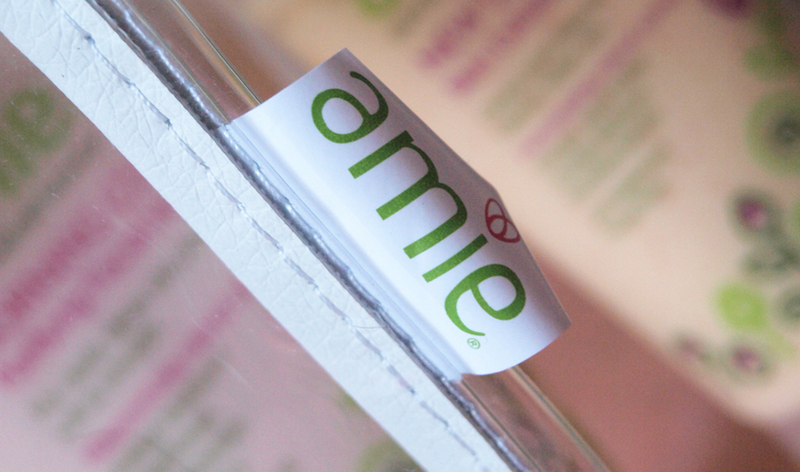 I tried a couple of Amie products before and I was very pleased with them. Their formulas are free from parabens, sulfates, mineral oils and petrochemicals, not tested on animals and... reasonably priced! Amie was originally created as an ideal skincare solution for the founder's teenage daughter, to suit her sensitive, oily and breakout prone skin. I was kindly sent the Perfect Beauty Gift Set to try out and I think that it would be a perfect starter skincare kit for a teenage girl. The set comes beautifully presented in a clear wash bag with white and pink accents and I am currently using it as my makeup bag :) It includes four products: a gentle eye makeup remover, cream cleanser, face scrub and a day time moisturiser. My eyes are very sensitive and I am always scared to try new eye makeup removers. I am happy to say, that Amie Bright Eyes didn't irritate my eyes at all! It is an oil free formula and I use it on "light makeup days". It is very gentle, hydrating and soothing and perfect for sensitive skin. If I wear heavy makeup, I prefer using an oil based solution, but this product does a great job at removing all traces of makeup too. It contains meadow cornflower and chamomile to soothe and decongest, grape water to cleanse and cucumber to hydrate and refresh. I wish I could go back in time and give my teenage self this cream cleanser! It is really lovely and very gentle on the skin. I massage it allover my face in the morning and rinse it off with warm water. It can be used at night time as well, as the second stage of cleansing. This way you will know that all your makeup is off! It smells lovely and has a creamy consistency, making it a perfect morning treat for the skin. It contains mayblossom and elderflower to purify, decongest and prevent breakouts, cocoa seed butter to nourish and sweet almond oil to soften the skin. 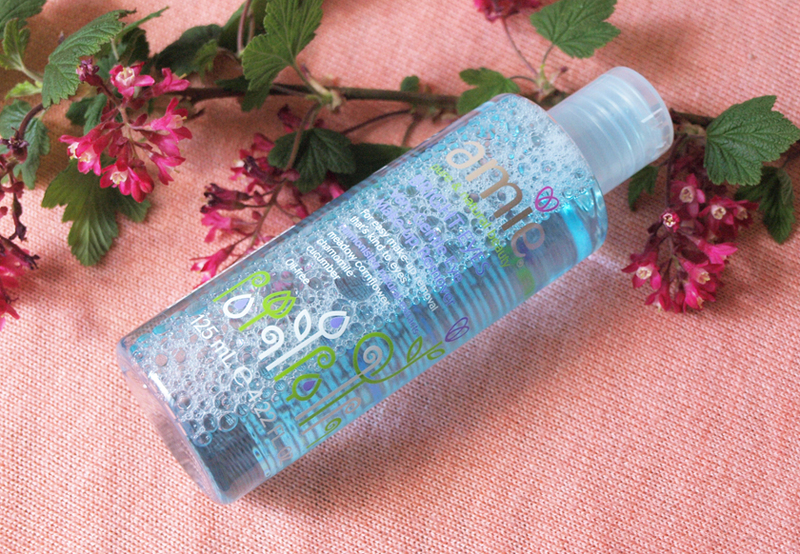 It is also enriched with orange blossom and raspberry to tone pores and refresh. This moisturiser is very light and sinks into the skin quickly, leaving it perfectly matte. It also helps to control shine and hydrates the skin, creating a nice base for makeup. It contains organic rosehip and bilberry to nourish, natural plant sugars to hydrate and Vitamin E to protect against sun damage and pollution. It also has antiseptic properties, thanks to Lemon Extracts and helps to remove excess sebum with clarifying Orange Blossom. When my skin needs a good polish to remove dead skin cells, I reach for exfoliators. This one should be used once or twice a week, to give you clear, radiant skin. It is a cream formula with bamboo and jojoba beads and it does't feel to scratchy. It contains mango and cocoa seed butters to moisturise the skin and orange blossom and sweet almond to tone and soften. Overall the Amie Perfect Beauty Gift Set is an absolute bargain and I would recommend it to those who like natural skincare, but don't want to spend a fortune on it. For reference- I have combination (and breakout prone skin), with an oily t-zone and dry cheeks and all the products worked really well with my skin type. If you have dry, sensitive skin, I would recommend the cream cleanser, scrub and eye makeup remover, because they are very hydrating. The mattifying moisturiser is suited for more oily and normal skin types. 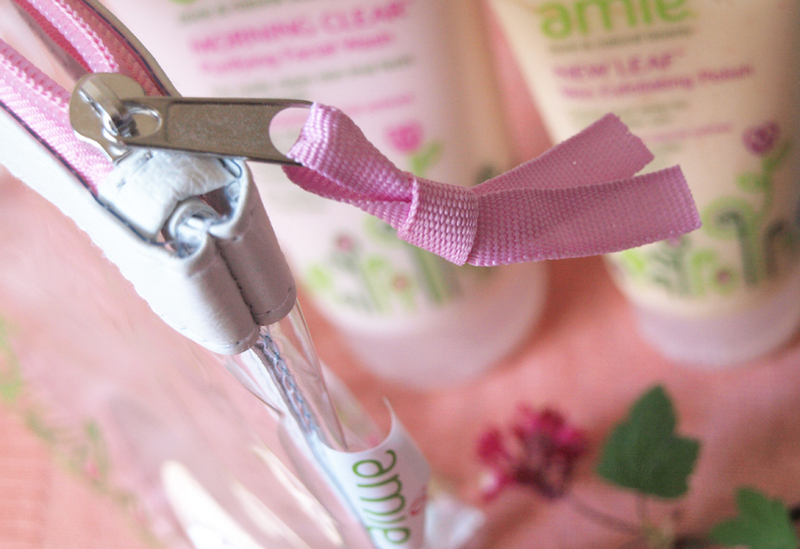 You can buy Amie products from www.amieskincare.com , Boots and Superdrug.